Few things are more frightening from a homeowner’s perspective than to arrive home and open the door to a waterfall flowing down the steps. Whether due to a broken water main, a leaky pipe or the kids leaving the sink running upstairs, water damage can be devastating to your home. While it is common for homeowners to invest in precautionary measures to prevent burglaries or fires, many overlook the likelihood that water damage could occur in their home. Insurance studies show that water damage to a home is estimated at six times more likely to occur than burglary and seven times more likely than fire damage. Considering these odds, knowing how to react if water damage occurs and how you can prevent it from happening again will help you tackle any situation, from the smallest of leaks to a completely flooded basement. Upon discovering water damage in the home, you should take a few immediate steps to limit the damage. If possible, turn off the electricity, especially if the water level threatens to reach electrical outlets, and then unplug any electronic devices in the affected area. 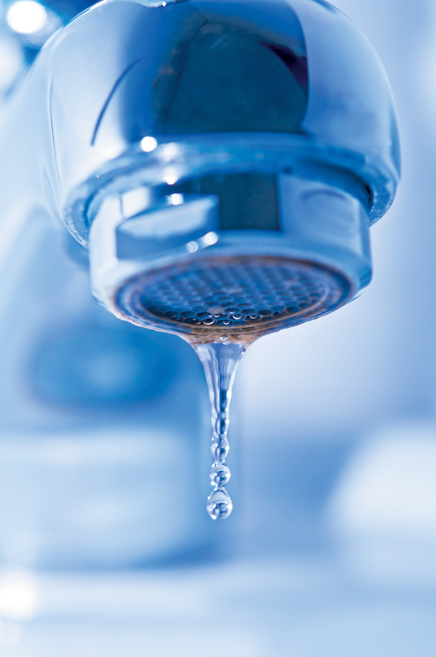 If you are dealing with a continuous flow of water, such as a burst pipe, turn off your water main valve. Contact an emergency plumber or water damage expert immediately if water is spewing out of your control. Once you have done what you can to bring the problem to a halt, it is important to start documenting everything, as you will likely soon be working on a claim with your insurance company if the damage is significant. Take photographs of all of the damaged areas at their worst and write down a timeline of the events and the steps that you took after you discovered the accident. 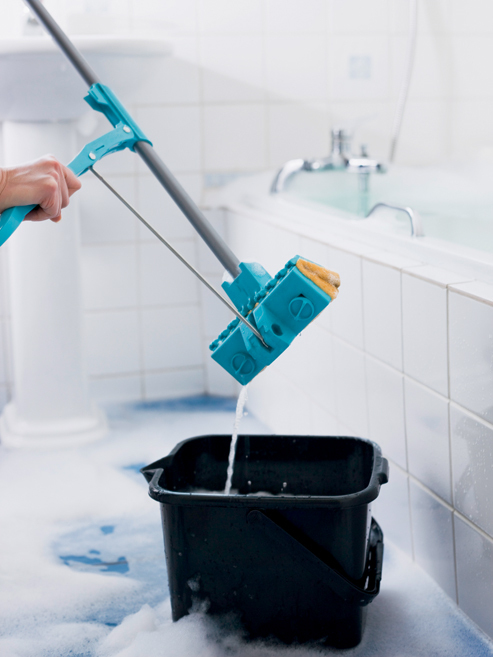 Depending on the extent of your water damage, getting rid of the standing water and drying everything out can be tedious, but it’s an important step that should not be rushed. In fact, improper drying-out methods can lead to even bigger problems later, like black mold. First, remove all wet furnishings from the home, as keeping them inside will only increase the time it takes for the water to dry out. If the water affected any carpet or rugs, pull them up and clean and disinfect them, allowing them to dry completely. It is possible that the carpet can be saved if handled early enough. If it happens to shrink, it might be able to be repurposed as an area rug. However, you will need new padding. You may not have to pull up the carpet at all if you contact a professional water extraction service right away. If weather permits, open all your windows to increase the airflow in your home. Use old towels, buckets and mops to soak up as much water as you can. Alternatively, you can rent a wet vacuum or a sump pump, but do take caution to plug them in an outlet that is located away from any standing water. After any standing water is removed, it generally takes 2-5 days (depending on the humidity) for the entire structure to dry. Window fans, attic fans, and dehumidifiers are good options to speed up the drying process, but refrain from using heaters because heating wet wood could warp the floors and promote bacteria growth. If you are dealing with water damage that was caused by a roof leak, you will need to replace the insulation in your attic because it will likely be ruined. The weight from the water can even cause sags in your ceiling. 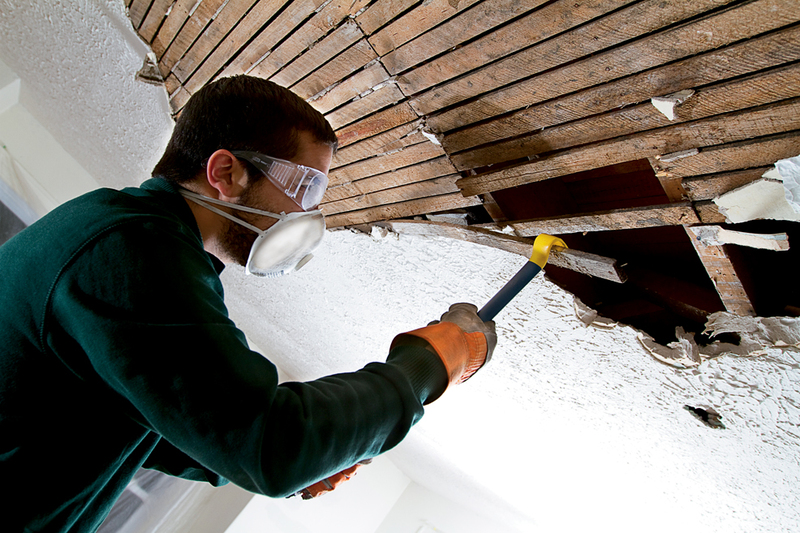 Check all ceilings for water spotting; even a small leak can lead to ceiling problems in multiple rooms. Extremely damaged ceilings might actually collapse. If your basement was affected, it is likely that any drywall the water touched will need to be replaced as it crumbles very easily. 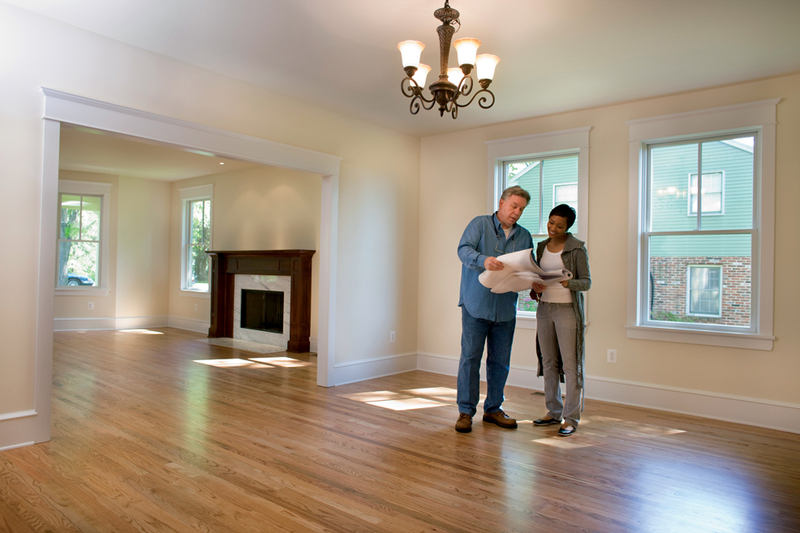 Baseboards may be salvageable if they are made of solid wood. For situations where water has seeped into the walls, you should contact a professional, as special drying techniques to reach inside the walls may be necessary. Once the drying process is complete, you need to clean and disinfect the affected areas to prevent bacteria and mold growth. It is crucial that every surface is completely dry before treating for mold; otherwise, you won’t be able to kill all of the spores. 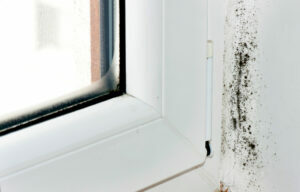 All homes have some mold present, even in the best conditions, but the wet environment created by a water leak can leave you susceptible to mold in much greater quantity, which can become a serious health hazard. 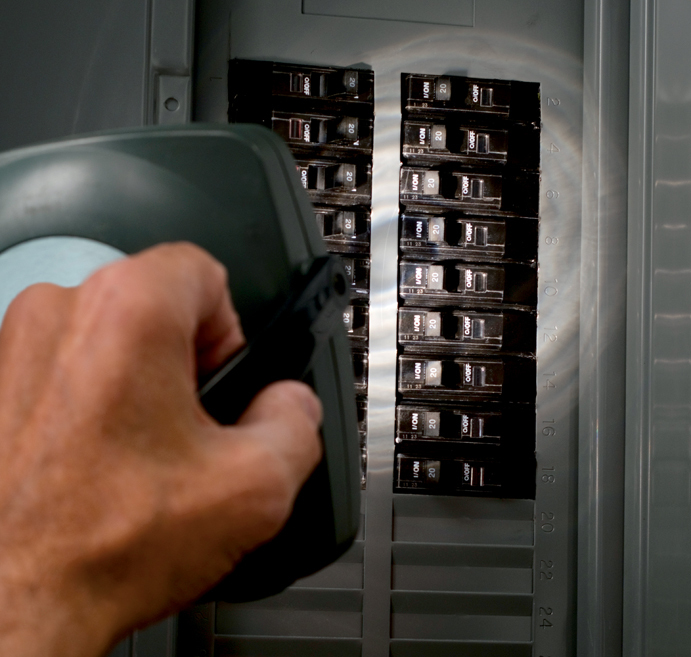 The most infamous household mold is black mold, which is not just unsightly, but dangerous. Black mold can cause structural damage to your home and can even be fatal to humans and pets if it gets into the respiratory system. Thoroughly disinfect the areas in your home that were in contact with the water. You can use a mixture of bleach and water to disinfect the area, but spot-test the surface in an inconspicuous area to be sure the bleach does not cause discoloration. Given the health risks of mold exposure and the extent of the damage, it may be best to hire a professional to handle the cleanup for you. If your water damage was slight and you are dealing with the problem yourself, wear gloves and a safety mask that covers your nose and mouth. Once you have waited out the drying process, made certain that your drywall and structure is free from mold, and worked out the details of an insurance claim with your insurance company, it’s time to make restorations to your home. 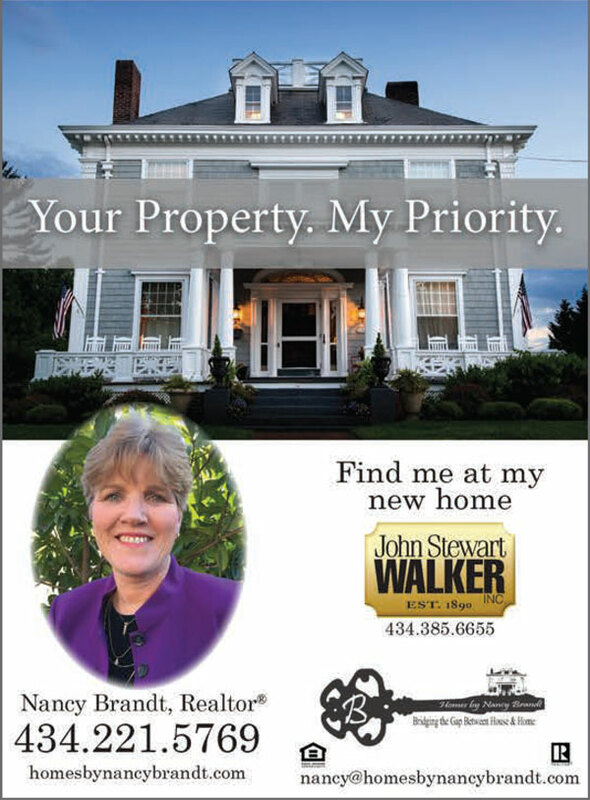 This could be a great opportunity to make other renovations or updates to your home. 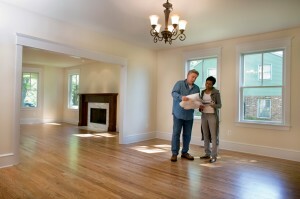 Know your budget and plan everything you want to accomplish during the restoration process. You might want to hire a licensed contractor that specializes in water damage recovery and repair. In Virginia, contractors are divided into three classes: class A (unrestricted in the dollar amount of contracts they may complete), class B (can perform work on projects up to $120,000), and class C (can perform work on projects that are less than $10,000). Ask questions about how much experience they have dealing with water damage recovery, and don’t be afraid to request references from past clients. After all is said and done, you will have a unique hindsight on the whole situation. This is a great opportunity to reevaluate your insurance policy while everything is fresh in your mind and assess whether or not it was sufficient in handling your needs. You may want to meet with an insurance adjuster to update your policy and ensure you are better protected if something similar occurs in the future. Most important, enjoy your newly rehabilitated home and take comfort knowing that you have successfully handled a tough situation. There are a few preventive measures that homeowners can take, regardless of whether you’ve had problems with water damage in the past. All family members in the home should know the exact location of the water main and how to shut it off. Find it and label it, maybe with neon-colored tape. You don’t ever want to be in the position of stumbling around in a dark basement frantically searching for the water main. Additionally, it is a good idea to shut off your water completely if you go away from home for an extended period. Be sure to do a yearly inspection of your water-using appliances (fridge, washing machine, dishwasher, etc.) to check for leaks in hoses. If you have older appliances, you may want to consider replacing rubber hoses with the stainless steel-braided, flexible hoses. Also inspect tubs, faucets and sinks for cracks and crevices. If found, you can likely take care of these spots yourself with an ordinary tube of caulk from the hardware store. Recovering from water damage in your home can be an arduous process; however, knowing how to react as soon as you encounter the problem is half the battle. Armed with these tips for success in managing and preventing water damage of any magnitude, you’ll now know how to keep your head above water if you’re ever faced with this sinking situation.